Published: 2014-05-06, by Ana Gracia. "Well, who are you? I really wanna know..."
Are you a fan of the popular CSI TV Show? 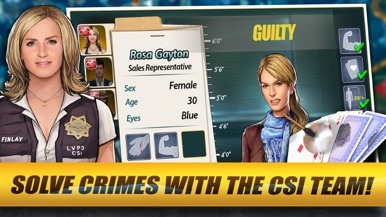 CSI: Hidden Crimes is an addictive and comprehensive game where you will become one of the most promising CSIs in the DB Russell's team. 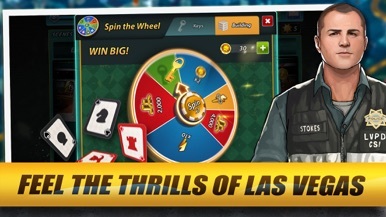 The game begins with an interactive tutorial which will get you familiarized with the app's gameplay. What will you need to do? 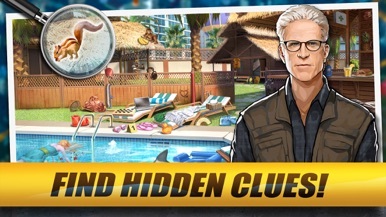 Find the hidden objects placed around the screen and collect the evidence by tapping on it. Zoom in and out to examine the scene more carefully. 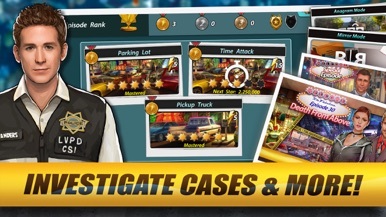 Earn rewards by being fast and precise and continue analyzing the evidence and the victim's body to find out what really happened. You'll always have a list of objectives you'll need to accomplish as efficiently as possible. The game is undoubtedly well-designed, its graphics are detailed and realistic and interaction is key. We haven't found any bugs or problems regarding functionality, the app works flawlessly and will be tremendously satisfying for fans of investigation games and mystery storylines. Do you have what it takes to be a great CSI? Train your power of observation! 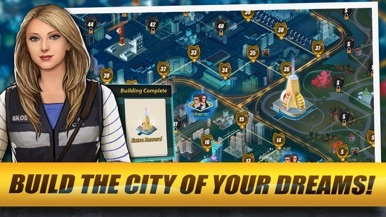 Ubisoft Entertainment is the developer of CSI: Hidden Crimes, an exciting and well-developed game where you'll fight crime in the city of sin.